First, read the intro, from Rebecca’s teacher, here. When I was first asked to do this assignment, I had absolutely no idea what to write about. I mean I’ve never really thought much about my philosophical views of the world, and I definitely have never had to incorporate them into a somewhat “freestyle” essay. Because I have always been a strong English student, I assumed that something like this would be easy for me. Interestingly enough, though, this essay differs from all the other ones I have written in English class, because this essay is something the requires my opinions, not just something where I can write down facts or tell the reader the same information in a different way. Anyway, my views eventually boiled down into two very different yet seemingly similar questions: Is all life equal? And, what is the value of a single human life? I decided to go with the former because it’s easier to explain my reasoning, and it has a more interesting story. A couple years ago my sister was (and still is) on the Sullivan West soccer team for the Sullivan West Elementary School. And, every Sunday she would have a soccer game against one of the other school districts. If the game was in Fremont Center, my brother and I would usually go to it. On one such Sunday, my brother and I (whilst walking under the bridge next to the center) found an injured, male Kingfisher. Now, at the time neither of us knew what kind of bird he was. But (after a quick examination ) we realized that he had one wing that was broken and that the other was bloody beyond recognition. To this day I don’t know what happened to him. After my brother and I found the bird, a couple of other kids came along and started throwing stones at him. I got very upset, took the bird out from under the bridge and brought the poor, frightened creature to my mother, who was watching the soccer game. I then asked her what I should do with him. She gave me a baffled look and told me to put him back. I did, and people once again stated throwing rocks at him. So, again I took him out from under the bridge, but this time I went to the refreshments stand and got a box to put him in. Then, I grabbed an old blanket from in my car in put that in the box. After I had stuck him in the box , I just sat there for a while, not knowing exactly what I was going to do with him. I looked at him with pity and remorse because I knew that he would probably never fly again, and what is the point of living for a bird if he can’t fly? I got up, taking the bird with me, and asked the onlookers at the game what I should do with him. The general response was a lack of response. The only other thing I did hear was said by Korin and her mother, Jodi. They both said I should “put him out of his misery.” Well, that definitely wasn’t an option, so I just sighed and went back to the car with him, wondering once again, what I was going to do. And then, for the first time, I actually looked at him. I don’t mean I hadn’t looked at him before. I mean this was the first time I felt like I actually saw him. When I looked at him, I could almost feel what he was going through, and I understood all the fear he was experiencing. I then knew exactly what I had to do with him. I went back over to my mom and told her that I had figured out what to do. When she asked what, I told her I was going to rehabilitate him. She looked at me like I was nuts. “We can’t do that!” she exclaimed. Jodi and Korin also seemed to think there was something severely wrong with me. Well, although I didn’t get to rehabilitate him, we did end up taking him home that night, much to the distress of my mother. After we got there my mom had to make about 18 phone calls before she could find any wildlife center that would take care of him. We then had to drive for an hour away in order to find a woman who worked for the wildlife center and would rehabilitate him. 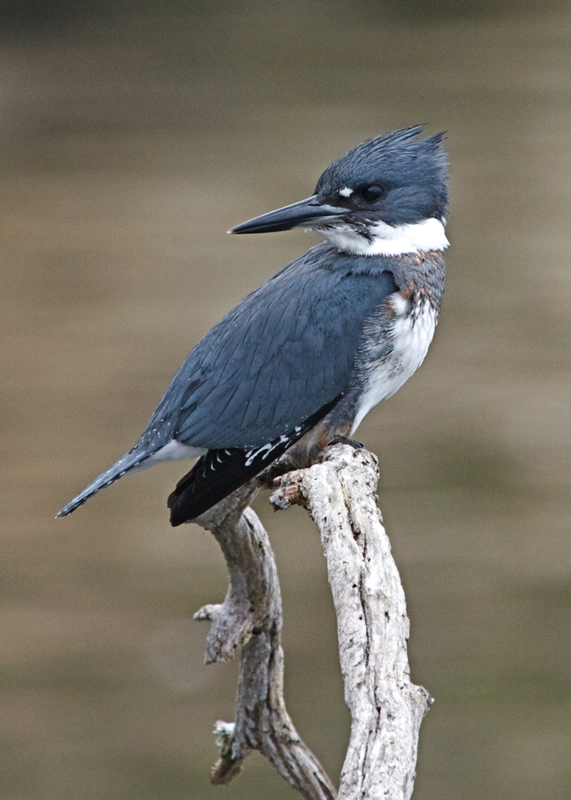 After we brought him over there, I told Kingfisher, who I’d come to like, goodbye. It was 11 o’clock before I got home, and I had to miss school the next day, on account that I wasn’t planning on doing my homework until after I got back from the game, and I was exhausted by the time we came home from the detour. The woman, Sharron, occasionally gave me updates on how my Fisher was doing and, about a year ago, he was released back into the wild. I was, and still am, very happy for him. When I was sitting there in the car with the bird wondering what to do, I (as I’ve said) truly saw him for the first time. When I looked in his face I could see everything that he was experiencing, and at that moment I knew exactly how he felt. This experience left me with the belief that all creatures are equal to each other. No matter what kind of organism you are, you still age, live, breathe, eat, grow, and die. We all want nothing more but to survive in this world and, in my opinion, every creature has the right to do that. Although humans may treat others cruelly because they are bigger, and feel that the lives of other organisms are more minuscule and unimportant, to the proud lion and the timeless Komodo dragon, human lives are just as disposable as that of the Kingfisher I saved. This belief of equality has motivated me to be as environmentally friendly as I can, and to help animals, especially when humans try to harm them. If only people realized that they were not the most important creatures living on the Earth, I think the world would be a much better place. 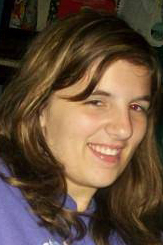 Rebecca Pisall died on June 20, 2014, as a result of her addiction. She was shot and killed in a dispute over a $20 bag of heroin. Her essay says a lot about why her mother, her teacher and some community volunteers have launched The Kingfisher Project. Thank you for reading it. I only knew Rebecca for a few years, but long enough to know what a loving, caring young lady she was. This essay does not surprise me at all. She took the time to come find me each and every day for her daily hug. She always had a big smile which followed with multiple hugs and well wishes. Rebecca would follow me from room to room until the late bus was there. She told me about some of her dreams and some of her problems. She was taken from us way to early. A sweet, young girl trying to find her way in the big world. Loving and trustng in people that didn’t have her best interest in mind lead her to her death. Love you my snuggle bunny and beautiful essay. To our straight A student that only cared about passing with whatever grade she felt she needed to be happy with. Thanks! It is nice to hear from people who remember Rebecca for the kind, compassionate person she was before her addiction. I miss her everyday and wish she was still with us. She taught me the beauty of all creatures even snakes! Also, that every living thing,no matter how big or small matters and was put here of this beautiful planet for a reason. I am proud she was my daughter and smile at all the amazing times we had together! Thanks! It is wonderful to hear from the people who remember Rebecca as the caring, compassionate she was before her addiction. I know she could have done wonderful things in life especially with animals and the environment. She made me smile everyday, I admired her love for all creatures big and small. I think about her everyday and am happy she came into my life even for a short time. I am proud she was my daughter and that she taught me how to take care of all animals and enjoy the beauty of the world we live in.